You hit the nail on the head Effie. The Nationalist argument based on scaremongering accusations fulfils the law of diminishing returns. Just as some of the Unionist arguments are so ridiculous, they undermine themselves. Independence fundamentalists might think shouting 'scaremonger' gains them supporters, ultimately, it will lose them more as people inevitably turn off from the hectoring accusation. You're bang on when you say that it is a tactic used to close down debate. But that's why it should also prove self defeating. If you keep closing down the debate, people turn off. I'm beginning to think that that's maybe what the Nationalists want in this debate. Nationalists do best in Scotland when there is a low electoral turnout. If they keep turning people off, the fundamentalists will still remain motivated enough to turn out. A bit paranoid, I know. But, like many of the Nationalist assertions, it's not outwith the realms of possibility. Thanks for a great comment Longshanker. Let's hope that a year from now we'll be looking back on how the UK remained together. That would be the best present that next year could bring. Have a very Happy Christmas and let's all make the New Year what it needs to be. Except that .. the core of people who want independence for its own sake is tiny would never get it. They are almost in reach of it now because they opened the eyes of people like me to what has been going on under our noses for so long we had assumed it was just the way these things worked. And the more I find out the more convinced I am that they were right all along. I don't know of any other word for the shrill warnings and scare stories being repeated over and over again in the press and on the TV and radio. 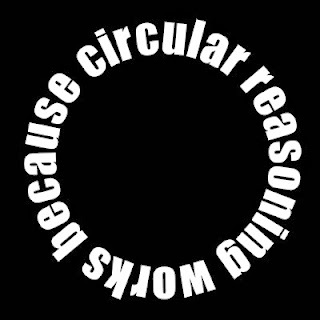 No analysis of the latest project fear statement, no sceptical deconstruction their press releast, just repetition: The Pound, The European Union, Borders Guard with a scatter of nonsense and outright lies mixed in, and then the loop starts again, and again. Scaremongering is the best word for it. I've never been a nationalist and spent most of my working life in England but the real arguments convinced me, and I resent and reject the negativity of the press and the broadcast media in their attempts to scare me now that I feel I've got a good grasp on the real arguments. I also furrowed my brow slightly at the dismissive way YOU paint those who disagree with YOU as being merely "nationalists" out to lie about everything. Maybe all debates over something this important end up with partisan participants talking about others like they were something lesser than them, someone not as smart and not as honourable and with malice in their mind. It doesn't have to be like that. We've got eight months, and everything that CAN be clarified WILL be clarified, and those that must remain uncertain can be identified and we can make our own minds up on the likely outcomes. Whichever way YOU vote, its becoming more obvious that its one way traffic with a media and yes, scaremongering, desperately attempting to staunch the flow. I suspect they may succeed. I also suspect that with an honest media giving both sides a level platform and even handed grilling the result would be a formality. Sorry if you didn't like my use of the word "nationalist". I could equally well have said independence supporter. It's just short hand. I agree with you that both sides have to debate in a more friendly matter. We should try to understand each other's point of view better. 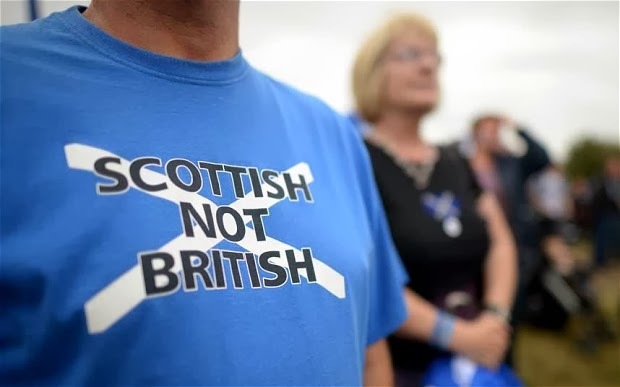 I also agree that there has been some excessive pessimism about Scottish independence from those campaigning for Scotland to remain in the UK. But some supporters of independence have described any attempt to point out possible disadvantages as "scaremongering". I'm willing to allow that there would be probably be advantages to independence, there would also probably be disadvantages and there are matters about which there is at present uncertainty. I've weighed the balance one way, you've weighted it another. We disagree, but that does not mean that I don't respect your position. It's because supporters of independence are making good arguments, that I take the trouble to put forward alternative views. If I didn't respect those I disagree with I wouldn't write anything.
" The independence supporter might say that if Scotland becomes independent we will keep the pound, while the UK supporter might say if Scotland becomes independent we will lose the pound. The SNP supporter immediately says that you are scaremongering. " This was a great example as it is being repeated almost daily. The thing is, its absolutely true. There is no practical way for England to STOP us using the pound sterling if WE so CHOOSE. There are two ways we can do it, by agreement or without agreement. In the first scenario, the Scottish Government's preferred solution, we come to an arrangement where we have guarantees over the English spending, taxation, deficit and "quantitative easing" (printing money, we used to call it in the 70s). As everyone who has been even the most casual observer of British politics and its partisan media over the last few decades are aware, you have to propose a single message and stick to it, claiming that you don't deal in hypotheticals. Otherwise the partisan media slice and dice you about confusion and mixed messages and u-turns and whatever. Its what happens. None of us like it but its just the way it works. You and I don't need to play that game. So WE can do what the Scottish Government can't. We CAN discuss what if. What if the Holyrood and Westminster and the Bank of England can't agree to a framework for a shared currency? The solution is obvious to everyone with basic economics. Its called a currency board. Scotland buys the internationally traded, fully convertible, reserve currency, pound sterling on the open market and prints its own notes like it does now and keeps them linked. Its not easy to get going, but as long as you have exports like oil, energy, whisky, fish and food pumping in foreign reserves, its trivial to sustain it in the medium term. We both know this. And the journalists we read in the media know this too. But the Scottish Government can't SAY it as they have tough negotiations with England and the BoE ahead, and a hostile media that would tear them apart if they discussed fallback positions. A fair media would print this anyway every time Project Fear trumpeted about The Pound. Instead they are complicit in the scare agenda. How is that NOT scaremongering? Shall we do the European Union scare stories? "I have heard arguments put forward by the SNP for why we would remain in the EU. I have also heard arguments put forward by the European Commission, the European President and the President of Spain for why we would have to apply from scratch from the point at which we become independent. I have read people who I respect say one thing, I have read people who I respect say the opposite. To be honest, I don’t know what would happen..."
One of the amazing things about people quoting what Spain is supposed to have said is that they fail to appreciate that Spanish is a complex language just as English is and that political doublespeak has its own conventions in Spanish just as in English. Compound that with a partisan media filter interpreting it for you in Spain (yes they have them too), and a partisan media in England and Scotland, and the misunderstanding about Spain's position on Scottish independence is understandable. Any reasonable interpretation of this is that, if England accepts the dissolution of the Union, and puts up no barriers to Scotland remaining in the EU as an independent state, Spain will follow that lead. But where have you heard this reported, nevermind interpreted reasonably? Instead our media and its unionist supporters repeat the Project Fear line, and spin it worse. No prospect of rational or reasoned debate where we point out the only real example of the EU and its precursor facing issues not covered by its treaties and instead going by the spirit of them and fudging it then pretended its what we wanted all along, in both the little reunification of the Saarland and the greater reunification of the DDR. As long as everyone was happy everyone was happy. Is this discussed and credited? Not if one can scaremonger instead, it isn't. Thanks for two great comments, showing lots of sense. To be honest I don't know whether in the event of independence Scotland will be able to keep the pound and remain in the EU. I don't think anyone does. What I do know is that certain influential people, such as the Chancellor of the Exchequer and the Shadow Chancellor are saying that it is unlikely to happen. Perhaps they are bluffing. Only time will tell. Likewise perhaps the President of the EU is bluffing when he says that an independent Scotland would have to apply from scratch. I'm rather agnostic on these issues. I think it perfectly possible that an independent Scotland would keep the pound and be in the EU and perfectly possible that we would not. The example you give of a possible currency option is quite reasonable. It sounds rather like a currency peg. Denmark has such a peg with the Euro. It works well. Scotland could maintain a similar peg with Scottish pounds pegged against pound Sterling. Pegs have been known to fail of course, as with the ERM debacle some years ago, but there is no reason to suppose that would necessarily happen. I actually think this would be a good solution for an independent Scotland. But let's be honest, this is a plan B. This would mean giving up the pound. It may be that the Spanish would follow England's lead. On the other hand it may be that the EU really is scared of encouraging separatist movements. We can speculate about these matters all we want. But in the end there is going to be uncertainty. I don't believe that a fair assessment of these sorts of matters warrants either excessive pessimism or excessive optimism. Both sides have, no doubt, been guilty of one or the other. But the only way to be sure of keeping the pound is to vote No. On the other hand given that England may vote to leave the EU, we may find ourselves out of it no matter which way we vote. "What I do know is that certain influential people, such as the Chancellor of the Exchequer and the Shadow Chancellor are saying that it is unlikely to happen. Perhaps they are bluffing." The word you're looking for is "lying", really. There isn't even the tiniest chance the rUK will refuse a Sterling union, for about half-a-dozen immediately obvious reasons. How can I say this with such certainty that I'd be willing to bet you £500 on it (which I am, incidentally)? Simple: they haven't said they will. If Osborne came right out and said, unequivocally and without weasel words, "We WILL NOT entertain the idea of a currency union", it'd be a huge blow to the Yes campaign. The press would go absolutely crazy. Sensible people might not BELIEVE him, but the mere act of saying it would be enough. So why doesn't he? Why does he pussyfoot around with rubbish about "unlikely"? Because he knows fine well that if he gives a straight No, businesses in the rest of the UK will conclude that he's completely taken leave of his senses. Scotland is England's second-biggest market, and not one English business wants to have to change currencies to trade with Scotland. The costs and damage would be unimaginable. So as Osborne DOESN'T want to commit economic or political suicide, he doesn't come out and say it explicitly. And when Scotland votes Yes, and there's no longer any propaganda point in pretending otherwise, he can just get down to arranging the terms of the currency union without having to actually backtrack. "Likewise perhaps the President of the EU is bluffing when he says that an independent Scotland would have to apply from scratch." Sigh. Perhaps he might be, if he'd ever actually said such a thing. But he has REPEATEDLY, explicitly, in the most unambiguous terms possible, until he's blue in the face, pointed out that he WASN'T referring to Scotland, but to vague and ultimately meaningless generalities. The EU is an expansionist organisation, and a creature of realpolitik, not law. Scotland will be in the UK from September 2014 until May 2016, and therefore will continue to be a member of the EU. Everyone, even the UK government's own experts, agrees that it's perfectly feasible to conclude negotiations over the terms of Scotland's membership, from within the EU, in that period. In reality, it's likely to be far less. There aren't actually that many sticking points, given that Scotland obviously already fully complies with all membership criteria. "I think it perfectly possible that an independent Scotland would keep the pound and be in the EU and perfectly possible that we would not. " There is NO chance that we would not be. Setting up a new currency in such a short space of time is a complete non-starter of an idea, and we don't qualify to be in the Euro even if we wanted to. As for the EU, whose interests is it in to exclude Scotland? Nobody's. Spain has made its position clear repeatedly and on the record - it will accept whatever the UK decides, and the UK has already agreed to abide by the result of the referendum. It is unquestionably scaremongering - indeed, it's the definition of scaremongering - to say things which have *absolutely no chance* of happening might happen, purely to frighten people into doing what you want. This is misleading and wrong in several ways. First 'Europe's borderless Schengen area" implies Europe has no borders - whereas of course the Schengen border with the rest of the world is policed and controlled. Yet this is not the impression that is created. Secondly, Schengen has nothing whatsoever to do with 'mass immigration'. It merely issues common 90 day visas. Residence and work permits remain in the control of member states. Of course, May uses 'could' to suggest that in the highly unlikely event of all Schengen states signing up to a common immigration policy at some indefinite time in the future, Scotland 'could' be part of that. But in reality, that is such a hypothetical situation as not to be worth arguing. Yet the quite deliberate impression she gives is that the act of signing up to Schengen would immediately lead to 'mass immigration'. Unless you know what Schengen is and how it works, all you will understand by her words is that Scotland is in danger of uncontrolled migration. And that, in my books, is unadulterated scaremongering. You don't have write nonsense go on then give me those union benefits because the rest of your bitter together lot can't Darling has been asked repeatedly but he must be too busy flipping his homes to answer.